You must have realized by now that your website is your 24/7 salesperson. Therefore, it should represent you, your business and your brand in the best possible light. So, you might be wondering if you need professional website copywriting services. Think of it this way; building a website is like building a house. Sure, you can do it yourself, but, can you do it like a pro? Probably not, unless you have some hidden talents. To continue our house-website analogy, your do-it-yourself house (or website) will probably work OK, but, maybe it won’t attract as many looks (or customers), or your roof (or business) might collapse two years in. If you want supreme performance, it’s best to go pro. So, how exactly can you benefit from hiring a professional website copywriting service? And so much more. A good copywriter is a wordsmith. They will shape your website, so that it not only represents the best of your business and makes you stand out, but also compels customers to make that elusive “buy now” click. Sounds simple enough. So, what exactly goes into achieving that? When writing a web copy, there are a lot of things to keep in mind. It’s not enough to just have a website that showcases your offer. When someone visits your site, they have to know immediately if you have what they are looking for. Show straight away who you are, what you offer and how you can solve their problem. People only want to know if you offer any benefits to them. We’re selfish like that. Website copywriting services also do landing pages that achieve just that – convincing your visitor that they are where they need to be. In just a few lines. But, to be able to broadcast the right thing, the “problem-solver,” you need to know what kind of a problem your customer has. That is why you need to know who they are. The whole point of your website is to present you, your company, your product, and your brand to other people. Those people are potential customers – key word being potential. Excellent website copywriting turns your visitors, or potential customers, into real customers, thus, making you money. To do that, you have to know who that person is. Your intended audience will shape the content of your website. Your visitors have to feel like your website is talking directly to them and offering them precisely what they need so that they would go from a potential to a paying customer. That, of course, requires a lot of research. If you market to the wrong audience, you won’t sell anything. Website copywriting services are masters at conducting quick but in-depth research to find out who this elusive person is. When they do, they will match the content, the tone and the offer of your website to them and their needs. Or, rather, the pain points. Finding your target audience is a tricky task. You can manage it by identifying your customer’s pain points. If you find the people who dream about your product and absolutely need it in their lives, selling it will be a piece of cake! So, find their pain and use it. That way, you’ve solved their problem and are now their hero. And, who doesn’t love a hero, right? This is a common saying among copywriters. It might feel like they are tooting their own horn, but, it’s actually true. Poor content will kill your website. Impactful website copywriting increases your traffic and sales. That means that not only will you have more visitors, but they will stay longer. Attractive website copywriting leaves a great first impression. It’s concise, enticing and, most importantly, it calls to action. Any decent copywriter will tell you that an average visitor doesn’t really read all of the content of your website. And, how could they, when they only spend a couple of seconds on it? That’s why it’s important to make your website skimmable. When a person scans it for a few moments, they need to see the most important bits. Clear, alluring headlines will arouse the curiosity of your visitor, so that they might grant you with a more generous amount of their time. Using active voice and positive language also resonates well with customers. So, instead of “Don’t miss out on our new offer” write “Get in quick on our new offer.” That creates entry points for customers, rather than obstacles. Coaxing a visitor to buy your product is the golden goal. But, how to achieve that? Hooking visitors in and attracting their attention is just the first step. Getting them to pay up is the next one. First-rate website copywriting will appeal to the reader’s emotions to make them connect to your brand. That way, it’s more likely they will buy your product. No matter how logic-based your decision-making process is, emotions always play a big part. That can be an advantage in sales because emotions can be evoked and influenced. Everyone likes to feel unique, while simultaneously being a part of a community. People are complex creatures that like to be understood, and giving them a sense of belonging can achieve that. You can also try to evoke emotions like love, greed, fear or duty. To make people connect with your brand, you have to let them get to know you. Tell your story. Even if you are trying to maintain a high professional feel about your website, you have to share something. People like to know who they are dealing with. But, keep in mind that, while you do need to open up at least a little, it should still be mostly about them. You might think your business website is supposed to be about you, but that’s not exactly the case. Whatever you write on there should be about your intended audience. Even the “about” page. When people feel that something directly concerns them, they are more attracted to it. So, while you should write who you are and what you do, you need to also, at the same time, illustrate how that would affect them. Having quality content and an excellent copy on your website is of the utmost importance. That’s why hiring a professional website copywriting company is a smart business move. You might find those rules we just talked about overwhelming, but a professional copywriter knows them by heart and uses them every day. Everything we mentioned is relevant and should be implemented in your website copy, but professional copywriting offers even more. A clear understanding of why people say “yes” and how to accomplish that. Outsourcing website copywriting is an investment that is worthwhile, and that will pay for itself in increased revenue. But, finding the right copywriting service might be a tricky task. 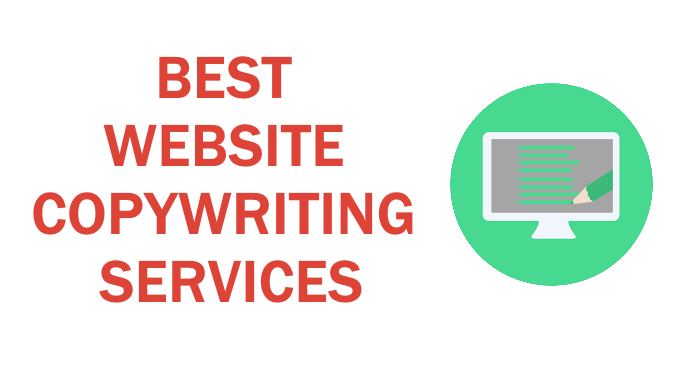 That’s why we’ve compiled a list of best website copywriting services. Browse through and see if anything catches your eye. Scripted is a platform that matches you with a writer best suited for your needs. With a rigorous recruiting process that results in only 2% hiring rate, you can trust their writers to meet all your requirements. They offer a multitude of services for different types of customers. That means that small businesses have their own services that cater to their specific needs, while enterprises, agencies, and freelancers have other sets of offers available to them. For around $47 you will get one webpage of original content that targets your core audience. But, this platform also has obligatory membership fees – Hemingway package for $149 per month and Austin package for $299 per month. They promise to format a call to action so irresistible that your website traffic will sky-rocket. For companies that want to grow their online presence, Scripted offers an impressive collection of services. This highly specialized platform will provide you with a skilled writer who will deliver high-quality content on time. But, they will make you commit to them for a monthly fee. So, if you don’t plan on regularly ordering pieces from them, maybe you should search elsewhere. If you want to have a whole marketing campaign formed and planned in one place, Scripted might be a good fit for you. Even though they deliver high-quality content, the high prices and mandatory commitment puts them on the bottom of our best website copywriting services list. Web Content Writers is a copywriting company that has over 25 years of experience. They have over 15,000 writers specialized in writing for websites. Even though the quarter of a century of experience can’t be overlooked, we couldn’t rank them higher on our list due to their rather steep prices. This company has an hourly billing rate, and it’s pretty high. Their very experienced and highly specialized writers charge up to $100 per hour. For reference, making an original web content copy takes around 4 hours. But, they are willing to go above and beyond for that fare. They even listed “traveling” as an optional part of effective website copywriting process. So, who knows, if you are far away, they might come to you. As they are a specialized company, Web Content Writers do not offer any other kind of writing service, but they do offer website and graphic design. Web Content Writers will provide a concise and clear copy that will persuade your website visitors to buy your product. Highly specialized writers that are well acquainted with your business field or topic are a nice plus. Still, a high price places this website copywriting company in the bottom half of our list. Webpage Fx has full-service web solutions and offers much more than just website copywriting. They are firm believers in the motto “Content is king” and will deliver nothing less than pristine quality. This company offers you a copy that’s not just seen but heard as well. That way they lure your visitors to become customers, thus increasing your revenue. Unique and engaging writing that focuses on your customer’s needs does not come cheap. For a keyword rich copy, you’ll have to pay up to $300 per webpage. That is a relatively high price, but, sometimes, you need to prioritize quality over cost. Still, even with them being a leader in website copywriting, Webpage Fx might put off some potential customers working on a tighter budget. If you need anything related to digital marketing, this is the place for you. If you can afford it, of course. With a team made up of award-winning marketers, designers and writers, your website is in undoubtedly good hands. Corp Writing is a company ready to eradicate the obsolete concept of randomly written content. This website copywriting company offers a bespoke copy written exclusively for you. They don’t recycle or resell their copies, each one is custom made. While they don’t offer much information about themselves online, they do have a clear overview of their services and pricing. More focused on the customer than themselves, they guarantee complete satisfaction and an effective copy. Clear and simple. Prices Corp Writing offers are very affordable. They also offer up to 40% discount on bulk orders, so if you think big, you just might save some money. SEO writing, blog and article writing as well as product description writing are just some of many services this company offers. They also produce business plans, corporate profiles, infographics, and executive summaries. While they have a very nice-looking website and a clear overview of prices and services, the fact they didn’t disclose that much about themselves as a company is a little off-putting. Decent quality-price ratio puts them at number 7 on our list of best website copywriting services. When it comes to copywriting, the competent and well-versed writer base and the number of satisfied customers of Writer Access speak volumes about the quality of their service. That is why they have rightly earned a spot on our list of best website copywriting services. With over eight years of experience, Writer Access offers a multitude of services and will fulfill all your needs. You can choose your own writer or team, and, simultaneously, the price range you are comfortable with. This company offers services executed by teams which include not only copywriters and content writers but analysts and strategists as well. They all work together to deliver the best content to their customers. With Writer Access, you get a premium experience and a chance to join over one million satisfied customers. Website copywriting provided by this company will be search engine friendly, authentic and will follow your instructions to the last letter. Just like their services, the price range is also versatile. There is literally something for everyone. No matter how high your budget is, with Writer Access you can find an affordable service. You can also get monthly subscriptions that include various services or service packages that cost $500 and higher. All kinds of content writing and copywriting services are available. So, if you are just starting your business, you can get everything marketing-related in one place. They also offer brand building and content planning. As we approach the top of our list, the prices keep dropping, but the quality keeps flourishing. Text Royal is a website copywriting service that has been working hard for over ten years. In that time, this Edinburgh-based company has delivered over 100,000 texts. They offer original and unique pieces produced by competent, professional writers that are UK natives. Their writers are educated not only in content writing and copywriting but in various other fields, which helps them write factual quality content. This company offers very low prices as well as discounts for repeat customers as part of their loyalty program. Strengthening your brand and replenishing your marketing campaign for a remarkably low price is very appealing, as thousands of customers can attest to. As a primary website content-oriented company, they offer any kind of content writing. Whatever service you require, it will be done very fast, as this company offers the turnaround time of one day. With a huge team of project managers, recruiters and, of course, writers, being original and on time seems like no problem at all for Text Royal. This company will help you get a large market coverage and increased traffic. That will, ultimately, put money in your pockets. And all that for a very low price. All these facts put them in the middle of our best website copywriting services list. Express Writers is a website copywriting agency that will always adapt to their client’s needs. They will charge you a pretty penny for their service, though, but at least they are honest about it. At this website copywriting service, it’s all about the content quality. They are the first to admit that for lower prices you have to sacrifice quality – and they are not willing to do that. They don’t hide their prices, try to sneak additional costs by you or charge you ridiculous fees. All your content will be written by copywriters with five or more years of experience in the field, for a starting price of $15 per 100 words. SEO, proofreading and editing are included in the price. Express Writers produces any other kind of content you need, and at lower prices too. This website copywriting company produces custom, made to order pieces, targeted to your core audience. Their content is strategically conceptualized to increase revenue and entice action. They promise stellar results from the first go, but also offer an unlimited number of free revisions in case you have some remarks. Sometimes, quality costs a little bit more than we are prepared to pay. Still, you have to consider that high caliber content is an investment that is worthwhile. BKA Content is a user-friendly platform with a dedicated team that has been working hard for ten years on delivering the best content writing and copywriting service. Once dubbed “The little blog that could,” BKA Content is now a huge company that enlists the best writers and has a great system of connecting them with customers. They offer you an opportunity to work directly with writers and keep the lines of communication open, thus eliminating the middleman. Their authors are scanned for grammar and trained to produce search engine optimized content of the highest quality. Their honest and eye-catching presentation is a good guarantee that they will deliver the same to you. The prices are customized depending on the service required. They also offer SEO and Social Media add-ons that increase the cost. They will showcase your voice, image, and product to the world in the most professional and original way. The turnaround time is around 7-10 business days. They offer specialty pages as a separate service, and it comes at a bit higher price than the regular. So, if you have a business centered around a more technical industry and need a writer well-versed in those topics, you will have to pay extra. But, that way the quality is guaranteed. For a moderate price, you will get an excellent web copy written by authors who have mastered the art of digital marketing. That, combined with their pristine reputation, puts BKA Content close to the very top of our list of best website copywriting services. 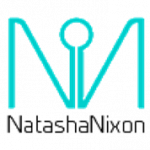 Natasha Nixon is a website copywriting service that ranks high not only on our list but all over the review sites on the internet. They are the number one content seller on Fiverr.com and have over 11,000 positive reviews. Now, if that’s not quality service, we don’t know what is! This company offers two services – SEO articles and authority content, which is a recommended option for a web copy. The authority content is deeply researched, fully optimized for search engines, and it also includes free revision. When you choose authority content service, you get a quality copy written by published authors and journalists that has been proofread and edited. The high qualifications of the writers are unmatched on the market. In addition to being one of the most qualified services, it’s also one of the cheapest. As a bonus, they will also deliver the content relatively quickly as the turnaround times are around three days. Supreme quality-price ratio and a minimalistic and to-the-point service, combined with amazing customer satisfaction rate, placed this company at the second place on our list. This has been a long, fruitful list of companies offering amazing service. But there can only be one winner. This time, the very top of our best website copywriting services list is reserved for GoSuperb. GoSuperb started it’s path to fame in 2015 in Amsterdam, Netherlands. Although they are a relatively young company, they offer distinctive, high-quality website copywriting. Their team of highly motivated, in-house writers will provide you with, as the name implies, a superbly engaging content. Nothing will increase your revenue like the GoSuperb team, and they will do it for a bargain and fast. The company prides itself on skilled writers with perfect language proficiency and degrees in various fields. The content is well-researched, SEO-friendly and will surely catch anyone’s eye. You know that, with GoSuperb, your website copywriting needs are in good hands. This company provides free, unlimited revisions until it meets your requirements. Any other kind of copywriting and content writing service is also at your disposal, and they all cost the same, per word. But, there is one more reason the number one spot was reserved for GoSuperb, and that is their money-back guarantee. If you find just one grammar mistake, you get a full refund. Now, that’s what we call a guarantee! They also guarantee superb conversion rates. With their services, your visitors will most certainly become your loyal customers. With the ability to write your copy in any style you wish, no wonder they can appeal to your target audience. The quality-price ratio is excellent, and the money-back guarantee makes them beyond compare. We gave our best shot to make a list versatile enough so that there is something for everyone. Now, armed with this new knowledge, all that is left for you to do is to decide which company will best cater to your website copywriting needs.